Editorial 1% Rule Has Always been Consitutuional! Editorial: 1% Rule Has Always been Consitutuional! The Constitution was designed to guarantee a government of the ruling rich males. To this day, we have a government and state apparatus that is designed to “protect the minority of the opulent against the majority” — there is no Democracy! It has been endemic to this society to expand westward which included the genocide of the Native Americans. 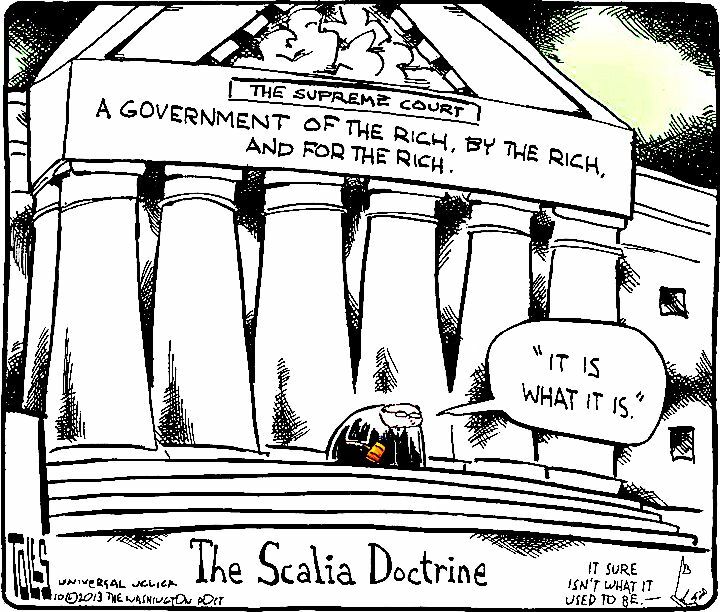 The Supreme Cout has always been the deciders and admenders of the constitution.The Supreme Court is composed of Judges, who have proven their loyalty to the 1% , and therefore have been appointed by the President of the United States. One should not have been suprised by the Supreme Court’s Citizens United Decision Holding: Political spending is a form of protected speech under the First Amendment, and the government may not keep corporations or unions from spending money to support or denounce individual candidates in elections. Thus, the Constitution became a codification of government of the 1%, by the 1%, and for the1%! Government of the Rich, By the Rich, and For the Rich!